We make it easy for you to buy dope stuff. You’ve probably seen us in GQ, Esquire, Highsnobiety, Complex, and a bunch of other places. 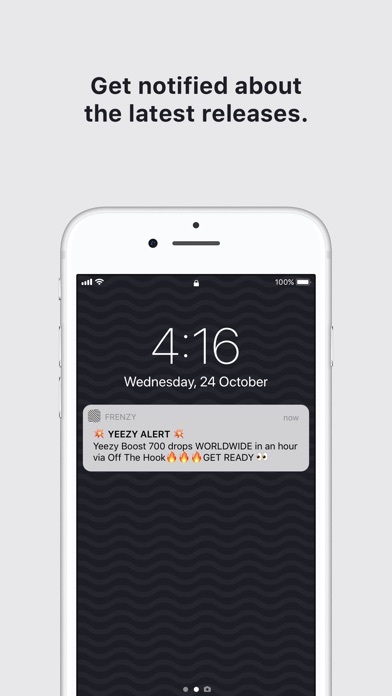 With Frenzy, you can do things like: + Buy the world’s most hyped sneakers and streetwear for retail. + Discover sales from leading brands and boutiques. 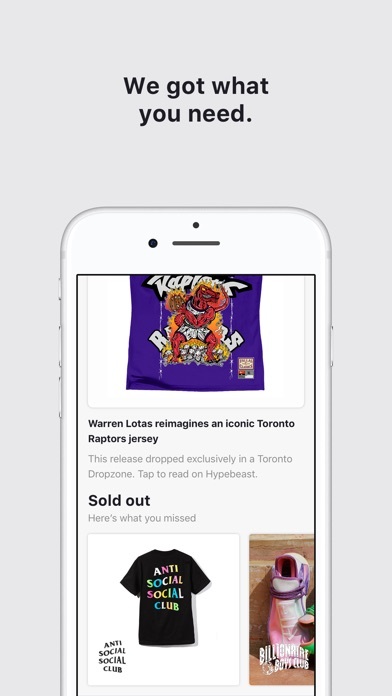 + Checkout instantly in a single tap with Apple Pay. iPhone X + Face ID supported ~*BUY SNEAKERS, STREETWEAR, MUSIC, ART, FASHION, AND MORE*~ Sign up for this sneaker raffle!! How about no??? Wait in line overnight!!! Naaaah dude I’m good. 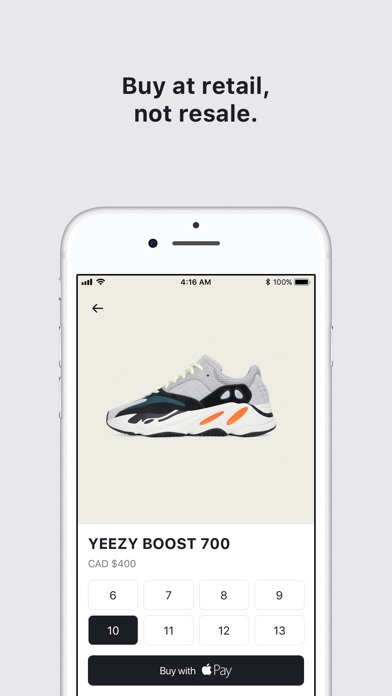 No signing up for sneaker raffles, no waiting in line—just exclusive, limited release sneakers and streetwear drops delivered straight to your phone. And we always work 100% in partnership with major brands and retailers to get you authentic, verified products only. Finally get your hands on your ultimate sneaker and streetwear grails: Adidas, Nike, Yeezy, Air Jordan, Ultraboost, NMD, Consortium, Air Max, and so much more. You literally can’t even purchase a hype sneaker as it releases on this app because you get “denied” it works awfully and is not even worth downloading. This app is trash. 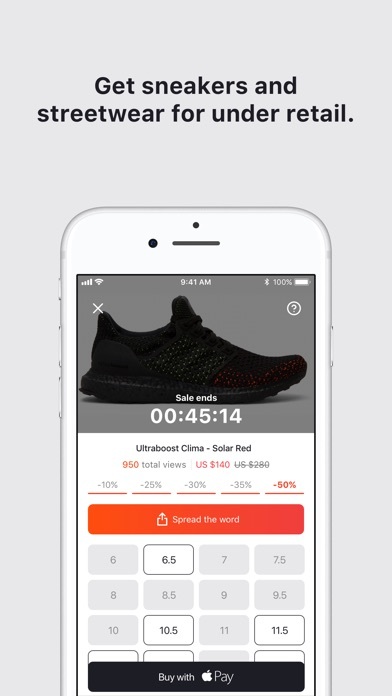 Any hyped shoe drop gets destroyed by scripts/bots and is likely to either load out of stock or not even load anything at all and then just say "Sold Out". If I could, I would like to provide a no star for this “Leave your customer forever and comeback home every other century” service. Never make mistakes on this app or you’ll have to take responsibility on your own. They “sell out” before they even drop. I downloaded this app just a day ago was looking at the boost & wanted to purchase but it Christmas looked on the app today 20$ cheaper today Apple Pay merry Christmas to me ha luv it. 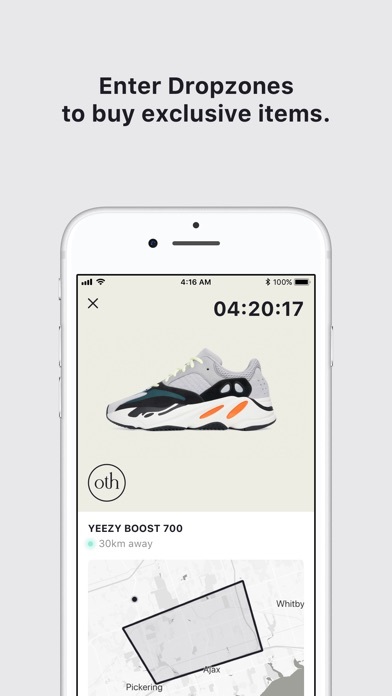 Advertised as if you use this app and you’ll cop every pair. 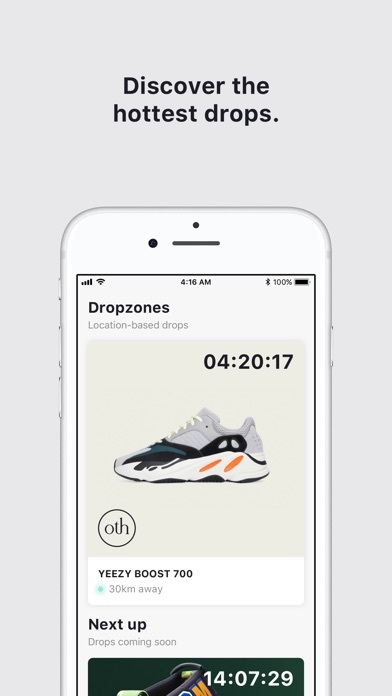 Been using for almost a year, i have never been able to cop a pair of any drops. This is just trash. Cooked up the Union Jordan 1 storm blue size 10 today. Said “Unlucky” but got my card charged and a confirmation email from union. I’m located in Virginia too. Thanks Frenzy App. 5 stars!!!!! Let’s gooooo!